Let's Provide A Treat To Those In Need! Recently, We All Learned About Our Neighbor Trying To Do A Good Deed & Provide Some Halloween Fun For His Community. You might have seen the story. But if not, here is a quick recap: Michael Fillion, a resident of Canton, has been putting on his elaborate Halloween "Ghastly Garage" for years. He does it to the delight of the majority of his neighbors, and every year, hundreds flock to see his incredible display. This year, however, a complaint by a neighbor gave Canton Township no choice but to tell Michael to scale back the attraction, letting Michael know that he needed special event permits in order to continue putting the large display up. The real losers here? Gleaner's Food Bank, where Michael delivers canned goods that are collected at the garage every year to help those most in need. "You see so many people in need of food, so many kids starving," he said. "It's just something I can help out with. Last year I raised 785 pounds of food I was able to donate and $100." Michael was truly doing good for his community, and providing kids and adults with a safe, fun Halloween treat. We decided that it would be a great idea to help Michael deliver the biggest "treat" he has ever delivered to Gleaner's. Between now and Halloween, drop canned goods off at our office in Downtown Plymouth, and we will deliver them to Michael. Let's not let this upcoming winter be any scarier for those most in need. If you are unable to make it to our office, the button above gives you a link to our Facebook fundraiser so you can donate money as well. Let's help turn this negative into a positive! 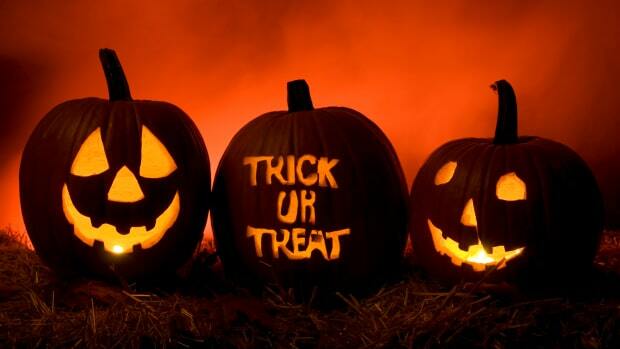 Happy Halloween From All Of Us At Dwellings By Rudy & Hall! Want to drop off a donation? Come to our office at 470 Forest Ste. 12 Plymouth, MI 48170. We are in the parking lot off Ann Arbor Trail between Forest and Harvey in between La Casa Cigars and Drought.